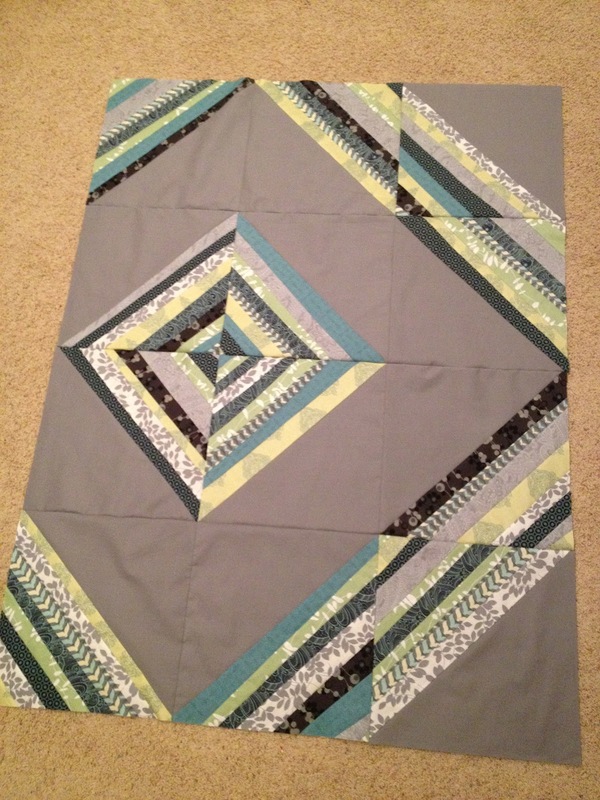 Teach 'n Craft: WIP Wednesday--School's Out! Right after posting this I'll be off to school for the students' last day of classes. I'm in my final week at my beloved school before moving to Virgina. A school there is holding a spot for me, but I'm still praying that all the paperwork works out (aka-I'll feel better once I've signed a contract). To calm the anxiety caused by so much impending change, I sewed more of Krystal's beautiful quilt inspired by Block Party. I had minor dog interference as I sewed strips together...silly Ellie! 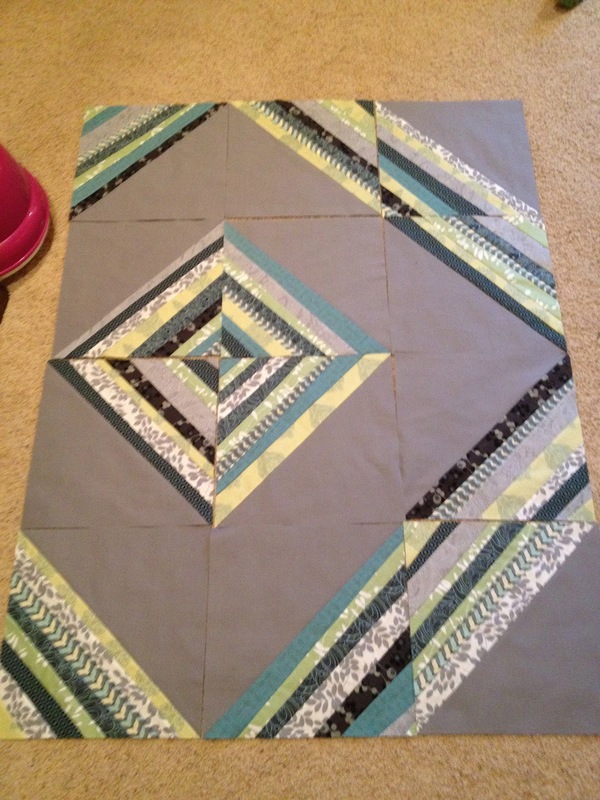 Then I finished the top...I still feel like I need work getting large blocks of fabric to feed easily. Suggestions to prevent puckers? Now I'm starting to piece some stripes for some blocks for the back. My inspiration, also from Block Party. So...that's where I'm at right now! I'm linking up to WIP Wednesday! Here's hoping finalizing grades today helps ease my anxiety. I love this quilt top....I became your follower so I could check in on your future projects...good luck on your new job. Block party is pretty inspiring. I like the plans you have for the back. Good luck with the new job. found you from WIP.